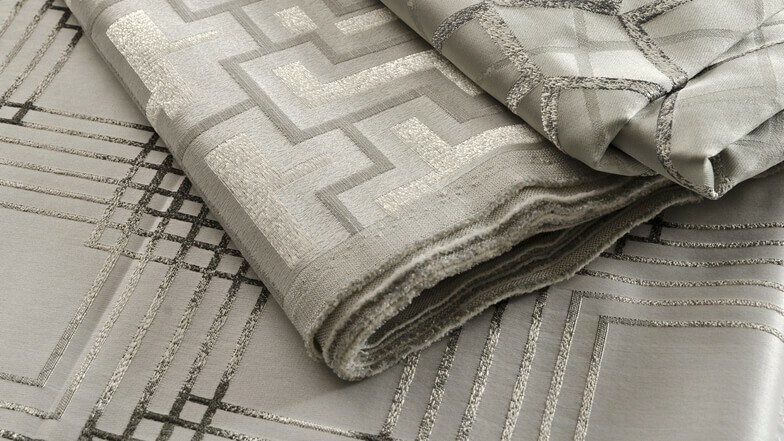 Ikono consists of ten stunning and lustrous designs which work effortlessly together. 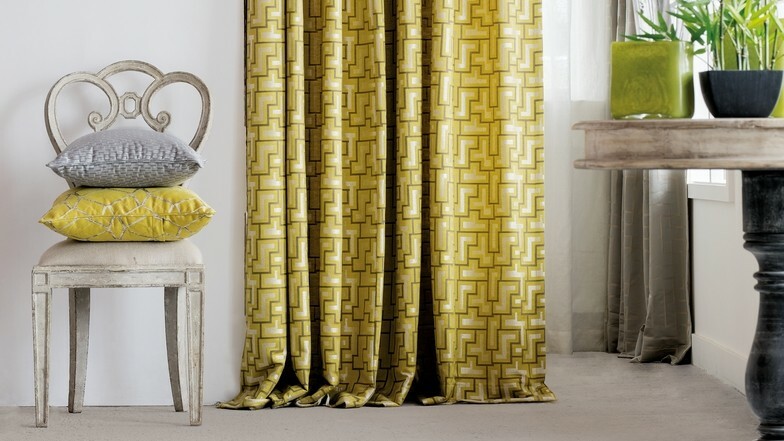 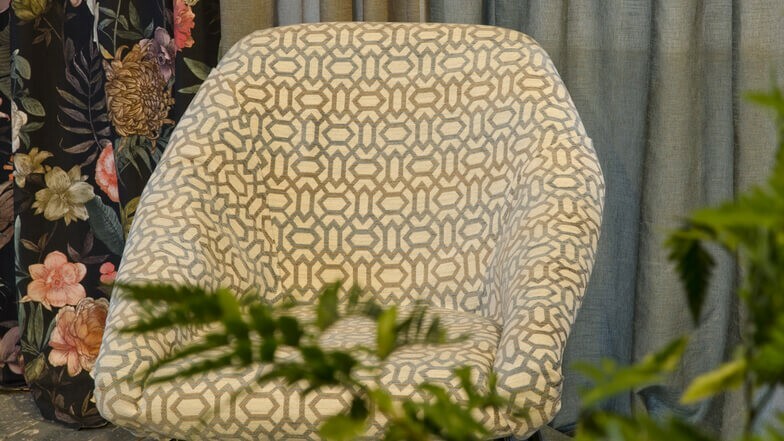 Sparkling big geometric designs, coordinating small-scale designs on satin. 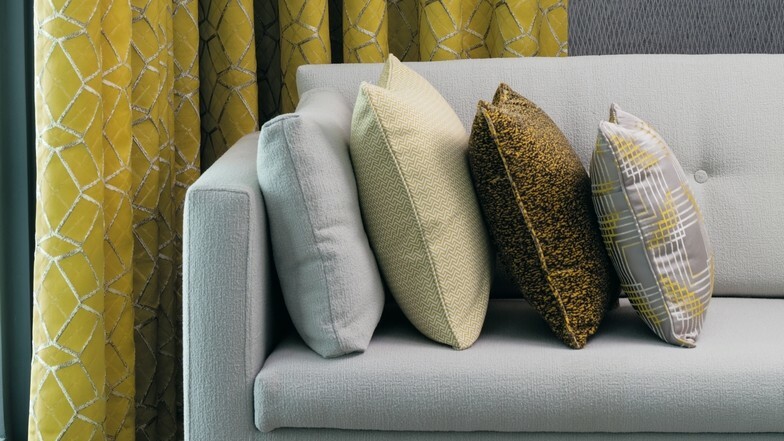 To complete this ensemble, durable textured velvet is available in a sophisticated and on-trend color palette ranging from neutral shades to lemon, copper, chocolate, navy blue, and silver. 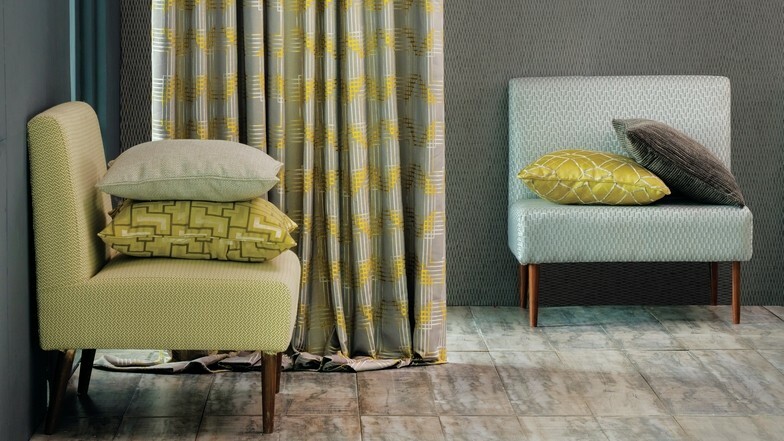 Suitable for upholstery, curtains and soft furnishings, Ikono combines high performance with an elegant and stylish look.